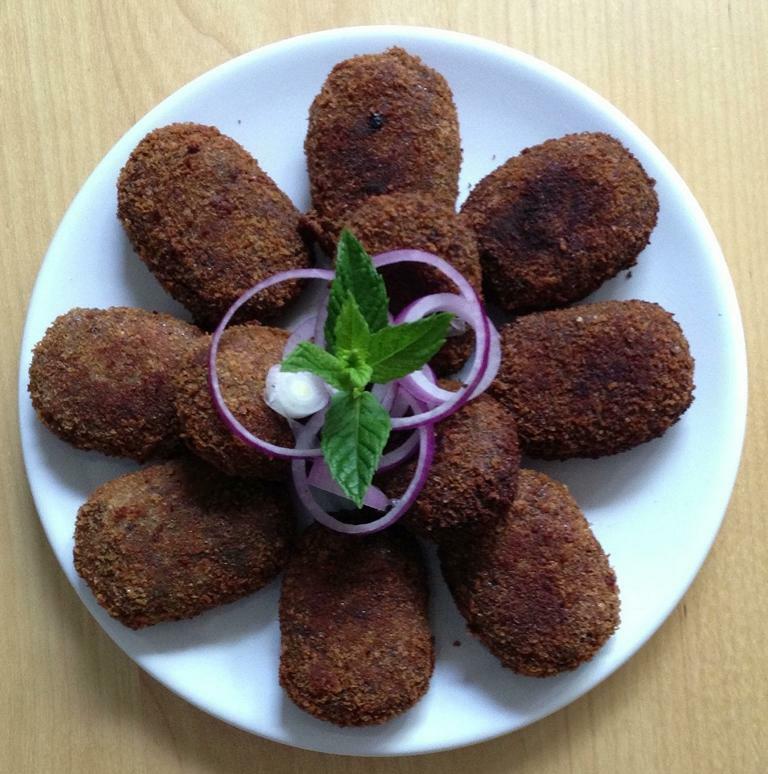 In Kerala, cutlets are very popular appetizers, a must-have at all occasions. 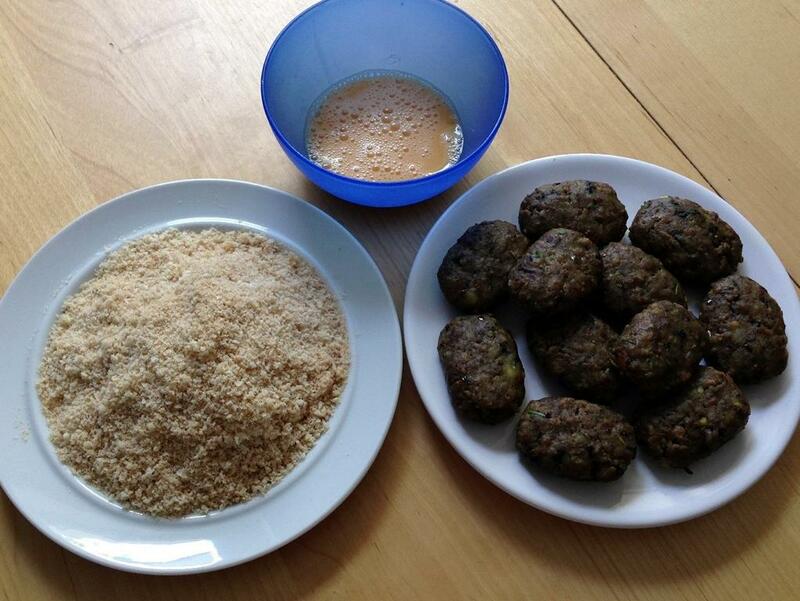 Somewhat like meat balls, but served without gravy, cutlets are most commonly prepared with beef or fish. These flavorful appetizers, get gobbled up very soon… and so it is advisable to make in substantial batches! 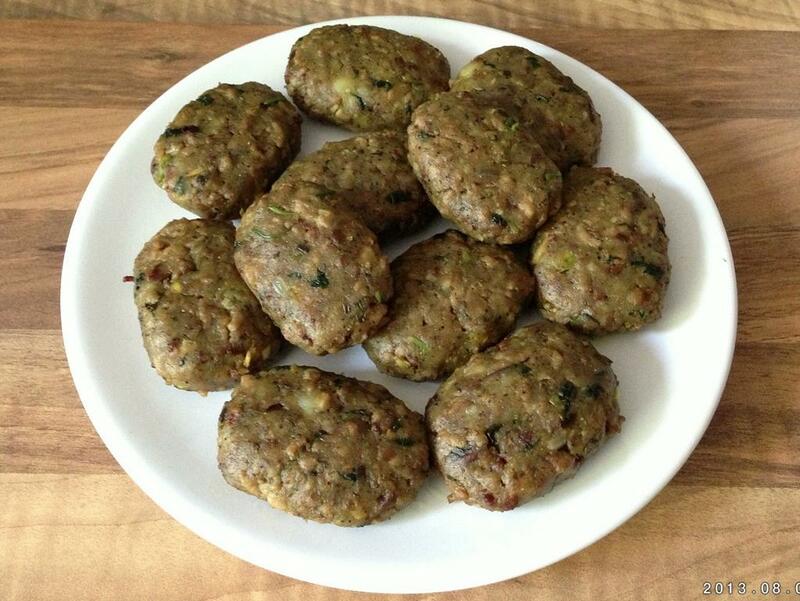 I had been thinking about putting this recipe ever since I started blogging as it is one of my favourite foods and at the cost of sounding a bit boastful… this is one of my trademark recipes and occasions at my house are never complete without my beef cutlets. The German cousins are very fond of these and on popular demand I made these here few days back. Busy schedule is keeping me from blogging much; well finally got some time to put this up. The only ingredient missing here are curry leaves as they are hard to come by. We didn’t have time to go to the Asian stores so managed without it. 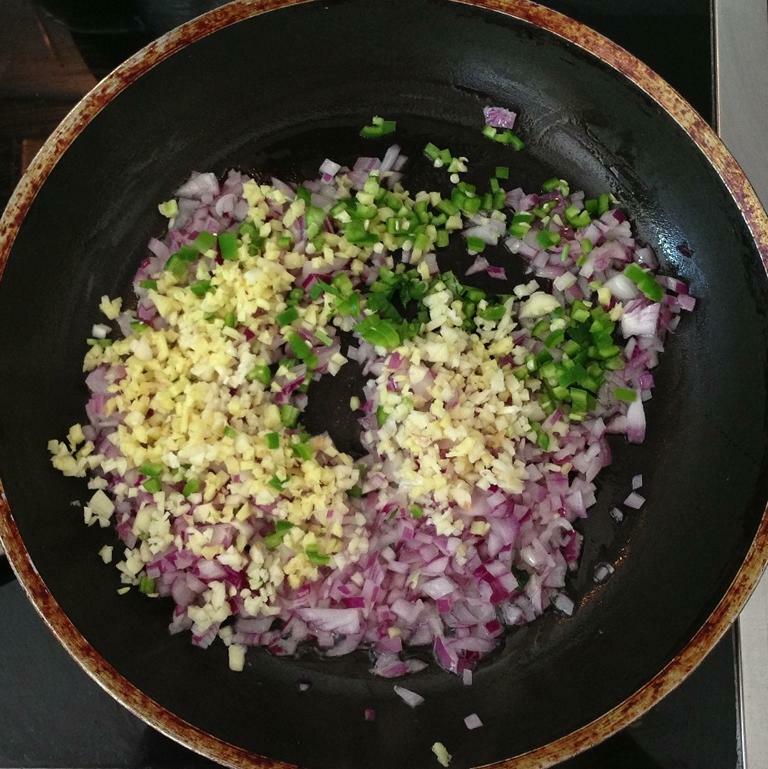 Besides good quality beef mince you need onions, ginger, garlic, green chilies, fresh coriander leaves and mint leaves…and curry leaves if available… everything should be finely chopped. 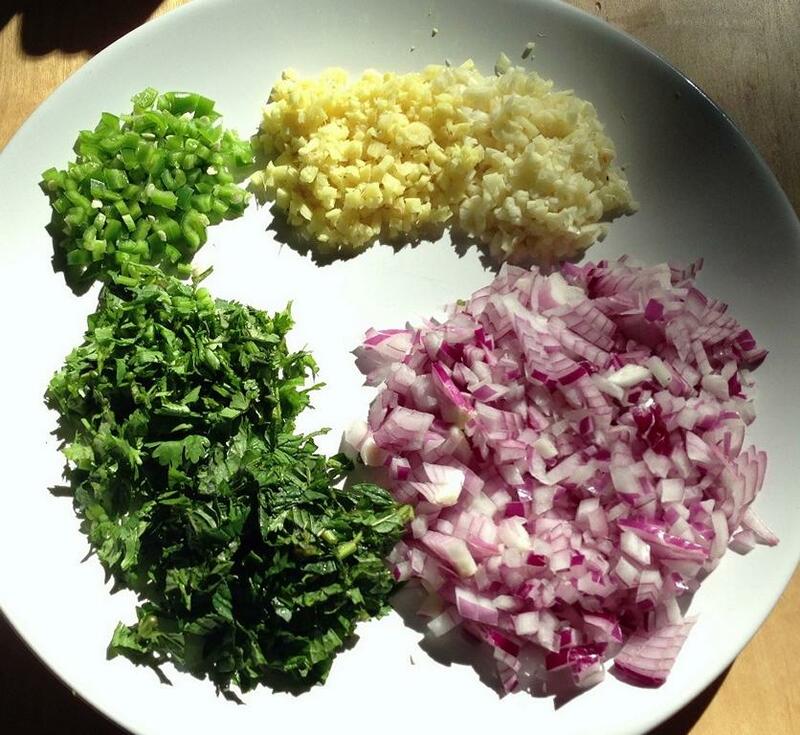 Fry the onion, ginger, garlic and green chilies and curry leaves in little oil. 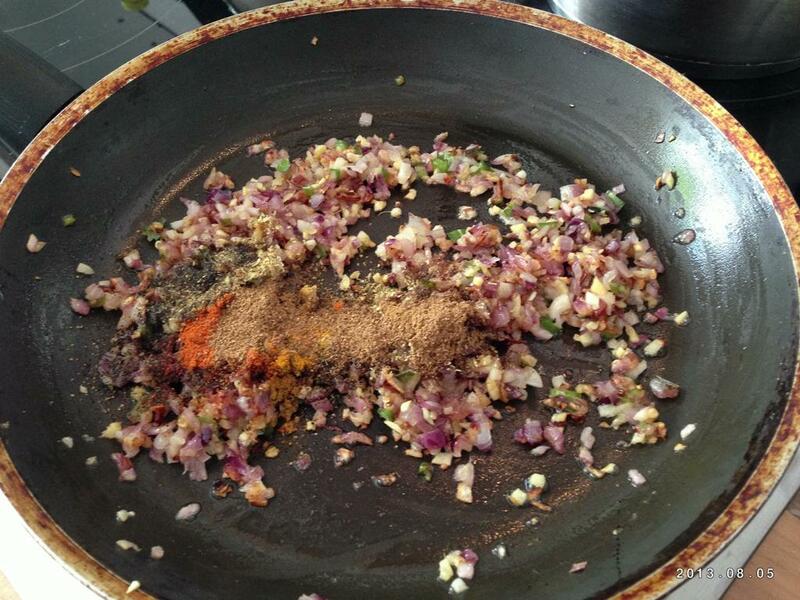 Once the onion turns golden brown, add the spice powders – coriander, turmeric, red chili, pepper and garam masala. 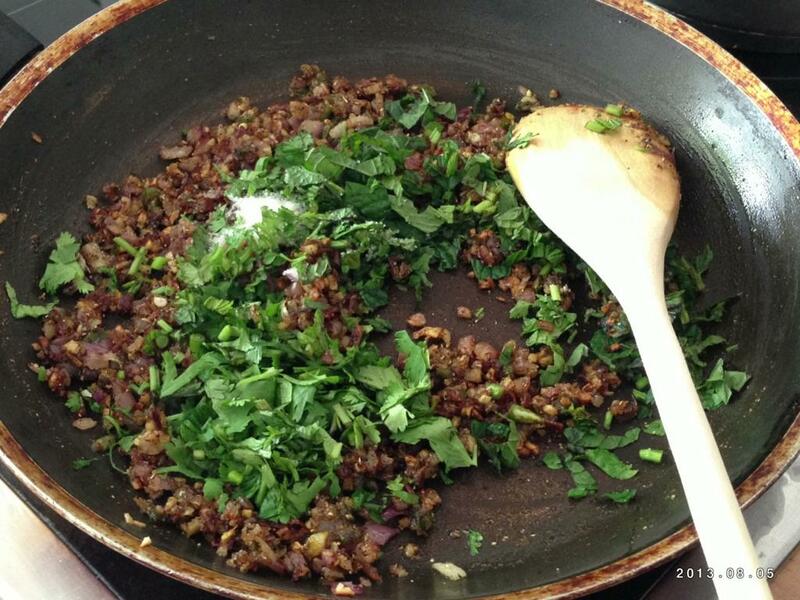 Add the fresh, finely chopped coriander and mint leaves. 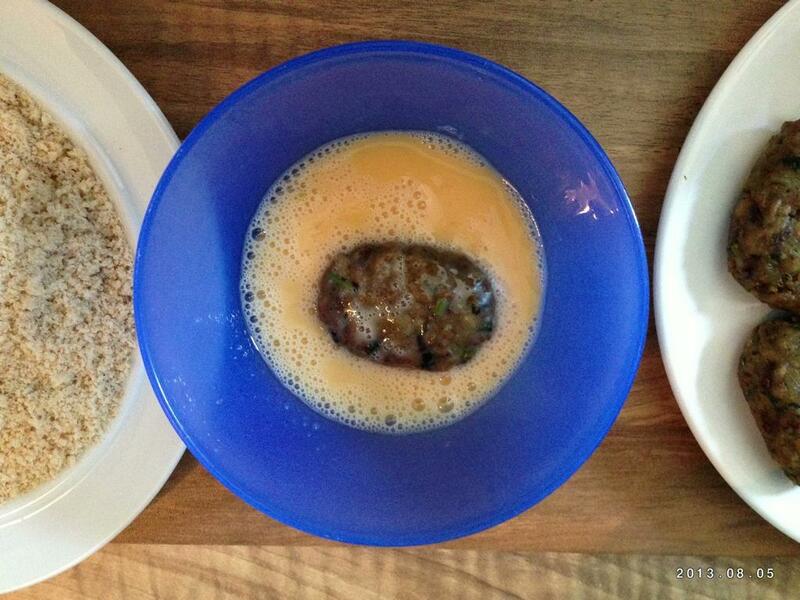 Then add the minced beef, and fry till the beef is cooked and the water is dried up. Set aside to cool. Once completely cooled, add mashed potatoes and mix well. Take small portions and shape them into flat ovals or rounds. Cutlets should not be too small. 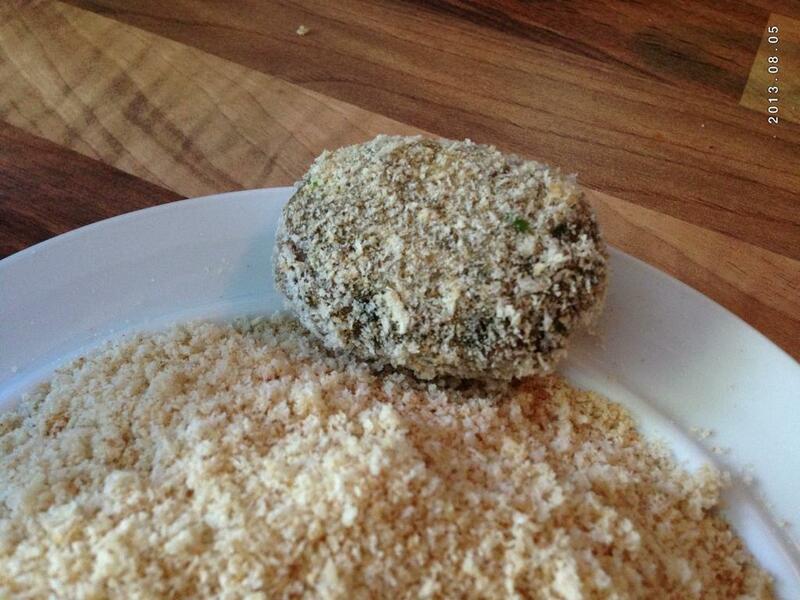 For frying, you need beaten egg and bread crumbs. Deep fry in vegetable oil till brown. Enjoy with some mint chutney or on their own.. In a pan, pour 2 tblsp oil and sauté onions, ginger, garlic, green chilies till onions turn golden brown. Add salt. Add the spice powders and fry for a minute. Add the coriander and mint leaves and fry. 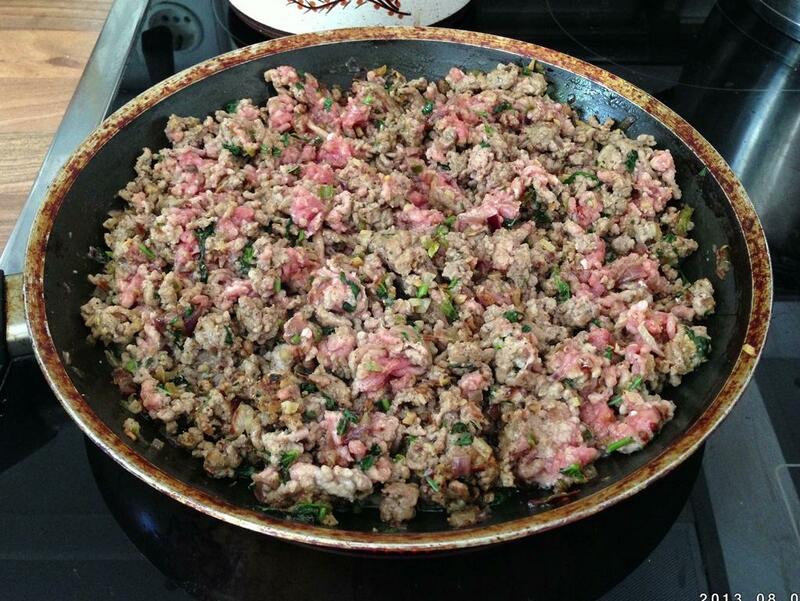 Add the minced beef and cook till all the water is dried. Check seasoning. Set aside to cool. 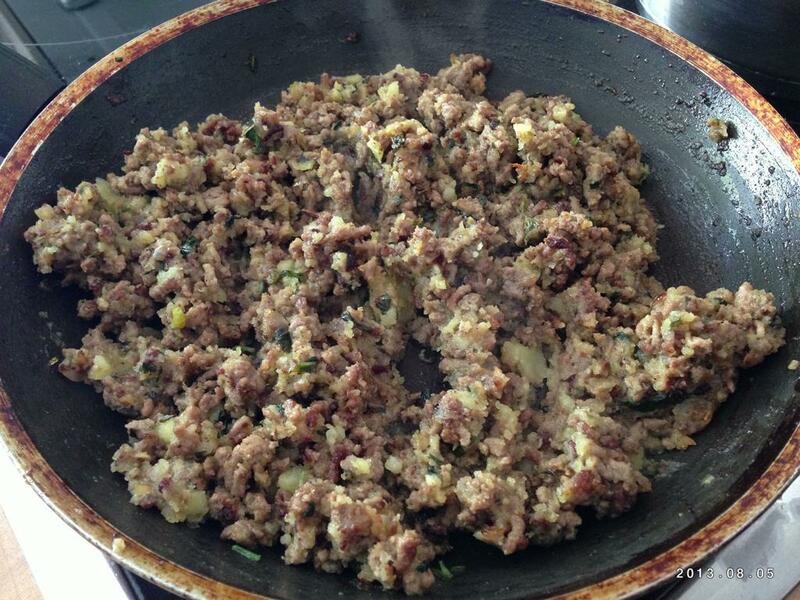 After beef mix is completely cooled, mix the mashed potatoes with the beef. Take small portions and shape into oval or round shape. Beat the eggs. 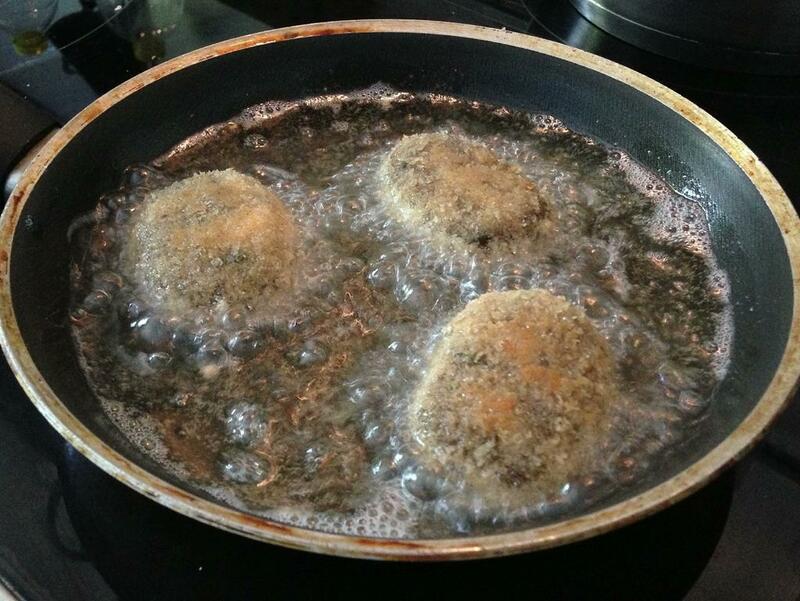 Preferably use only egg whites to avoid the oil from bubbling while frying the cutlets. Heat a shallow pan and pour oil which covers half of the pan. 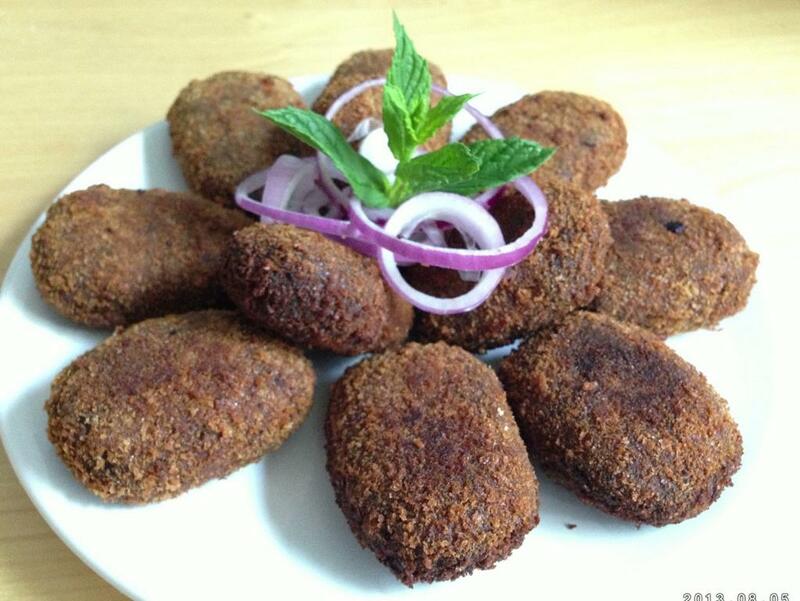 Dip the prepared beef cutlets in the beaten egg and then coat with breadcrumbs and when the oil is hot enough, deep fry till golden brown on medium fire. Serve hot with mint chutney or some onion rings. One of my any time favourites. Its awesom.